People have very different takes on travel: some like to squeeze in as much as possible, while others like to take it easy. But traveling by bus or train means following a route chosen by someone else. If you want to regain your autonomy as a traveler, try cycling, which lets you choose your route, pace, and departure times for yourself. While cyclists have a variety of reasons for taking to the road, they have at least one thing in common: the personalized pace and topography of each of their journeys provide them with scenery and experiences all their own. Taiwan is home to many different terrains, ranging from the plains and sandy beaches of the western part of the island, to the rugged Central Mountain Range, and on to the Hua­lien‡Tai­tung Rift Valley and deep blue seas of the east. All of these lovely landscapes also change their look with every season, making our little island a wonderful place to explore over and over again. In 2015 the Ministry of Transportation and Communications completed Cycling Route No. 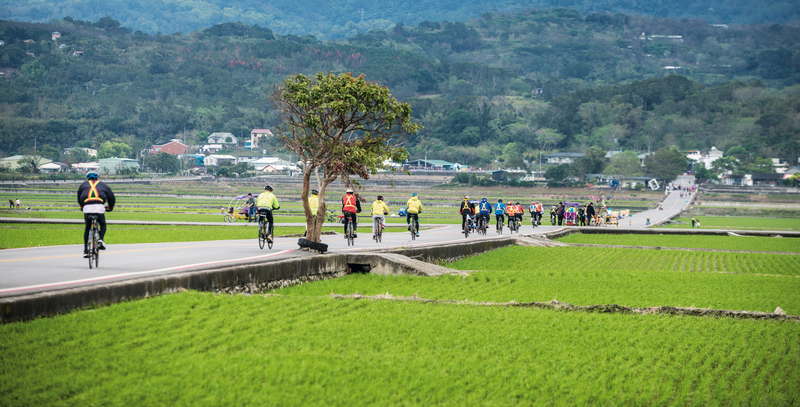 1, which links cycle trails and on-highway bicycle routes around Taiwan into a connected route, complete with bike repair points and rest and refreshment stops, that makes it even easier for riders to make a circuit of the island. 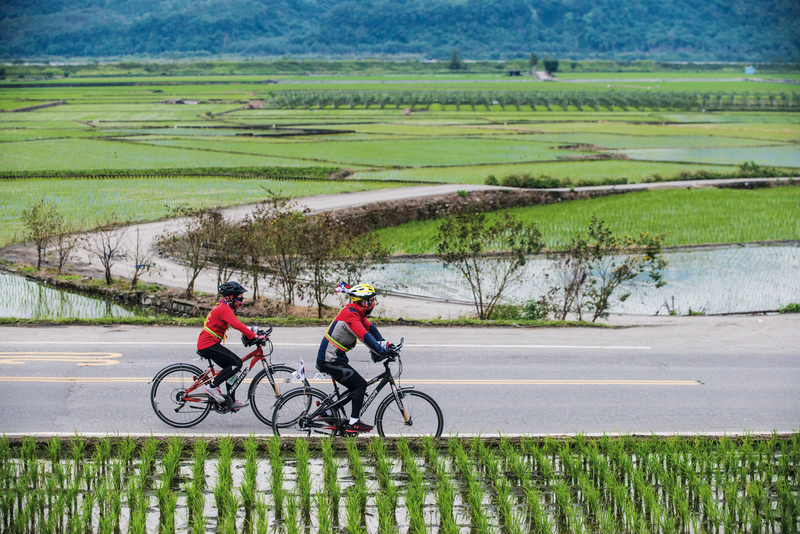 County Highway 193, which runs 110 kilometers through Hualien County, from Xin­cheng in the north, through Ji’an and Shou­feng, and all the way down to Yuli in the south, is Taiwan’s most revered cycling route. The 23.5-km stretch from Rui­sui to Yuli, known as the Lede Highway, is particularly scenic. It runs between the Coastal Mountain Range and the Xiu­gu­luan River, passing by rice paddies, amid singing birds, and surrounded by flowers that bloom in every season, such as those of the golden rain tree and the royal poinciana. 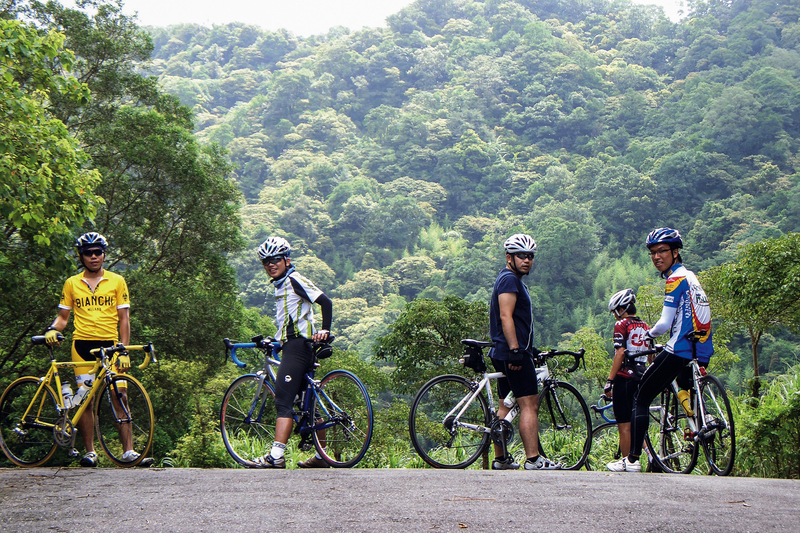 Bike routes like this highlight the best of Taiwan’s gorgeous scenery. Riders cycling them get to enjoy the feeling of the wind on their faces and the mingled scents of rain and sweat as they travel. Even more importantly, they also get to interact with locals, whose smiles and shouts of encouragement add depth to the cycling experience. Holger and Dietmar are German engineers who much prefer the sensory immediacy of cycling to travel in closed-up motor vehicles. 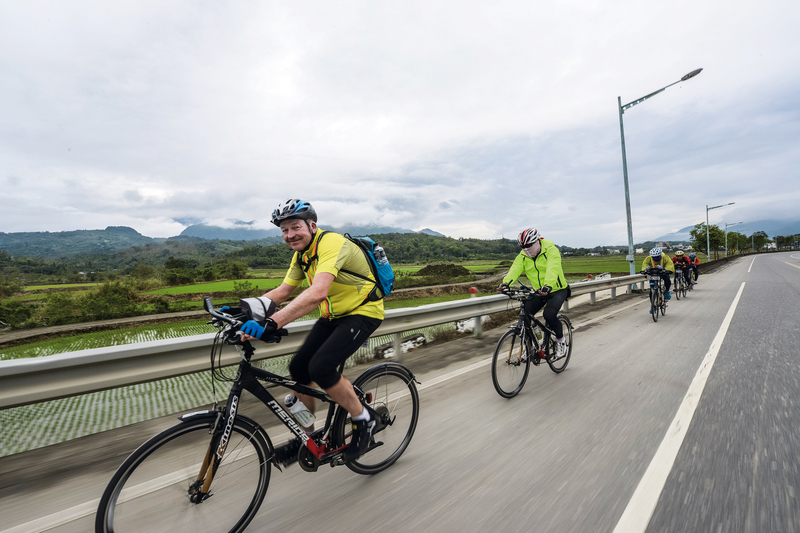 They make cycling tours of islands around the world every year, and this year have come to Taiwan to explore our highways and byways and enjoy sights such as the sunset at Fang­shan and the sea at Duo­liang. Mikiwasa Ku­ma­zawa was inspired to make his own bicycle circuit of Taiwan by a Japanese television program showing the golden rice paddies, open landscapes and unspoiled culture of Taiwan’s Hua­lien‡Tai­tung area, and the many island-circuiting cyclists and scenery-­loving tourists who visit it. The 68-year-old Ku­ma­zawa says he hasn’t ridden a bicycle since his middle-school days, more than 50 years ago. He admits that doing so now is tough—his palms, shoulders, and neck all hurt—but says that the gorgeous scenery is worth the price in pain. Huang Ting Ying, who represented Taiwan in cycling at the Rio Olympics, comes from a family of athletes. Originally a swimmer, she got into cycling while in the sixth grade, when her school disbanded its swim team and Kao­hsiung Municipal Nan­zih Junior High School cycling coach Yang Dong­zhen, a friend of her mother’s, started bringing her along for rides with his team ­instead. Huang’s talent became clear when she began competing in international competitions as a middle-school student. She started her career as a sprinter relying on speed and explosiveness, but switched to intermediate and long-distance road races in an effort to break away from the pack. Huang has enjoyed a measure of international success. She finished second overall in the 2016 Tour of Chong­ming Island World Cup, winning the race’s first and third stages and earning the nickname “pink cannonball” for her explosiveness. That performance propelled her into the international professional cycling limelight, and gained her a place on Italy’s Servetto Footon women’s professional cycling team. 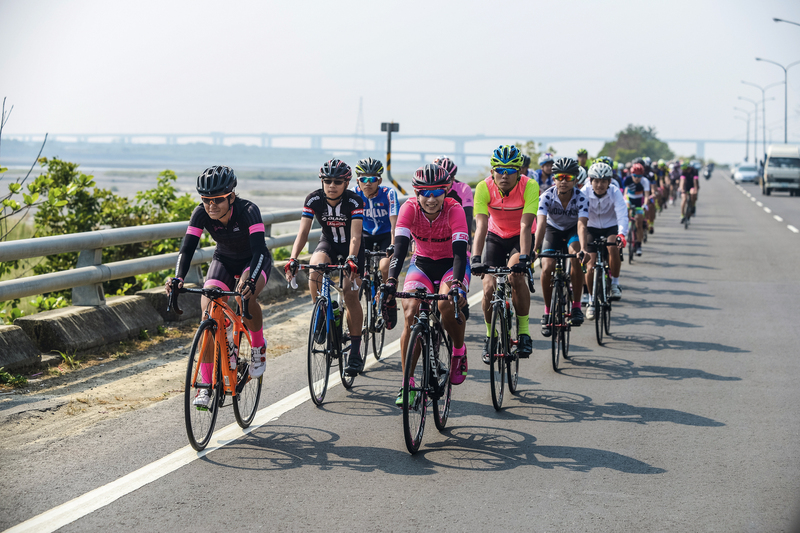 Huang went on to compete in the Giro d’Italia Femminile later last year, and was the first Taiwanese woman to complete the race, a grueling event whose winding roads and long climbs force many racers to give up. She plans to continue racing internationally, taking in the world’s most beautiful scenery from the saddle of her bike. 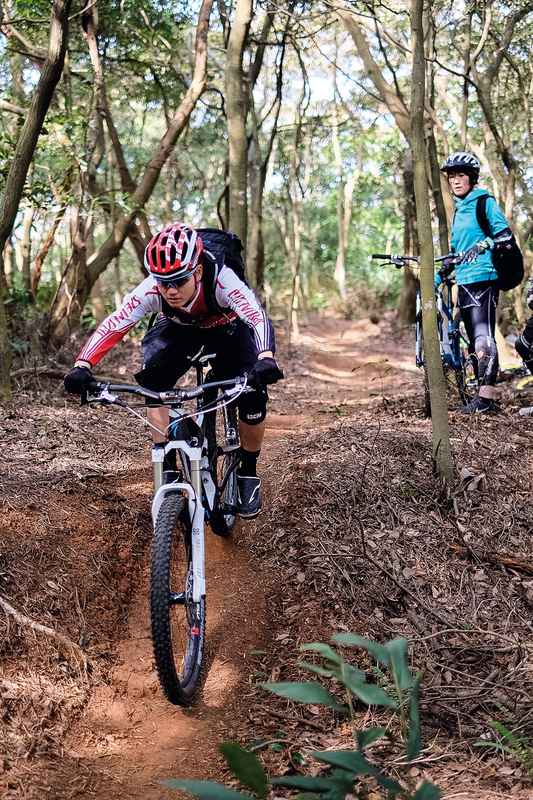 Downhill mountain biking queen Penny Chou has chosen to push her limits in cross-country mountain biking competitions. Originally a successful track athlete, Chou switched to field events at the urging of her coach, but never developed a passion for them. 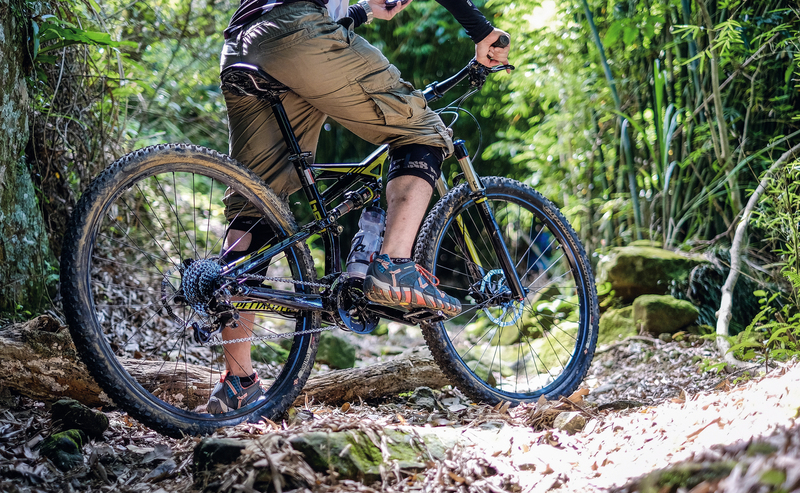 Unable to compete as well as she wanted, she took a teammate’s advice and gave mountain biking a try. The decision marked a turning point in her athletic career. Riding through nature, constantly pushing her limits as she cycled up and down mountain slopes, the athletic Chou found a sport that enabled her to realize her potential. Chou qualified for last year’s Asian Mountain Bike Continental Championships, but had to withdraw after tearing a ligament in her right ankle while training. But the injury hasn’t affected her passion for cycling in the least. She jokes that she’ll keep riding until she’s physically incapable of pedaling any longer. It isn’t just competitive athletes who have taken up cycling. 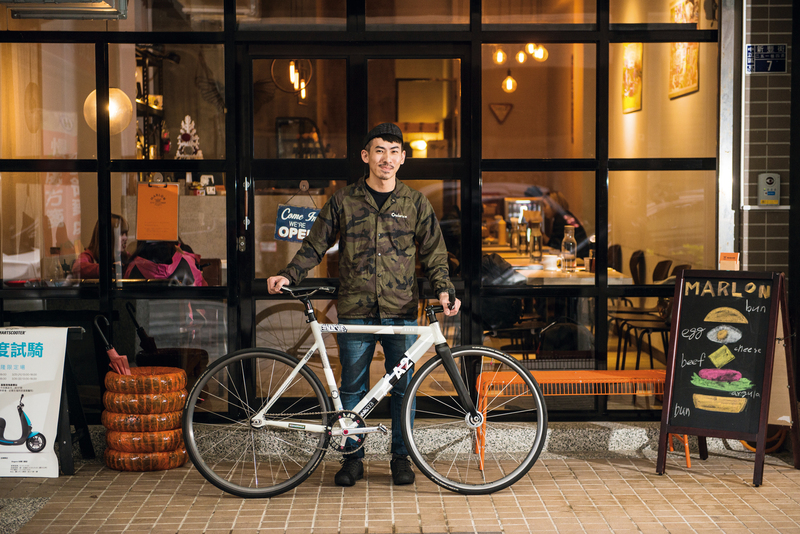 Bike Family’s ­Huang Jin­bao is a former steel worker who took up cycling when his doctor recommended it to help rehabilitate years of occupational injuries. He may have started cycling as therapy, but he soon found himself on a surprising new path, taking his wife and children on bicycle circuits of Taiwan and Europe, and then a 400-day cycling trip around the world. Unable to stop cycling, he then founded Bike Family, a company that helps people realize their dreams of cycling around Taiwan. Huang says he enjoys the way that the scenery changes with every season, but his main motivation for leading cycling tours is the riders in each group. He recalls one group that made a point of praying in every temple, large or small, that they passed on their nine-day island circuit. He was deeply moved when they told him why: they had a female friend who was ill, and they wanted to send blessings her way. Bike Family’s tour groups include cyclists from all over the world, including Germany, Korea, and Japan. Though the riders begin their trips as strangers, a few days on the road together gets them sharing their cultures and experiences in spite of language barriers. They also encourage one another while in the saddle, enjoying both the beauty of the scenery and the warmth of Taiwan’s people. Fixed-gear bicycles, or “fixies,” are an important part of bicycling messenger culture abroad and have become a distinctive feature of the urban terrain. The bikes are named for their single gear with no freewheel, a feature that enables riders to do some unusual tricks with them, like riding backwards or spinning the handlebars. They are also simple to build, which enables fans to build custom bikes using their preferred parts, even down to color-matching the screws. They are particularly popular among young people because they make it easy for riders to flaunt their personal style. “Most people ride fixies because they look cool,” says Xie ­Weida, head of Fixed Style, a Tai­pei fixie club. Xie caught his first glimpse of fixies in 2010. Drawn to their look, he soon dipped his toes into the fixie world. In those days, most of the groups riding fixies together were affiliated with particular bike shops. If you hadn’t built your bike at a group’s shop, you weren’t welcome to join the group. So Xie recruited friends to ride together, initially persuading about ten friends to join him. He then created a fixie-oriented Facebook group, using pictures and videos to raise its profile and grow its membership. Nowadays, his Facebook group has more than 20,000 followers. Fixed Style is the first fixie club in Tai­pei that isn’t tied to a particular shop or type of bike. 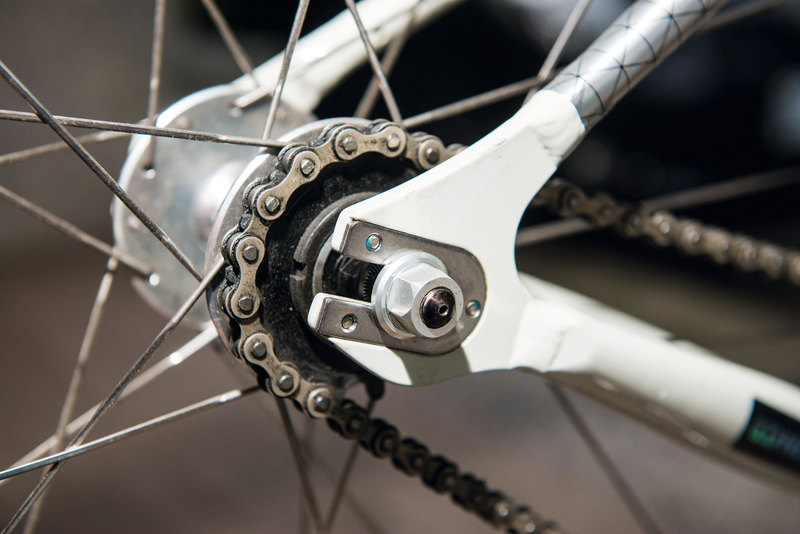 Its goal is to create a friendly group riding environment that enables cyclists to enjoy their fixies together. Though fixie-focused, its Friday gatherings in Tai­pei’s Xi­men­ding area also include many riders of road bikes and You­Bike rental bikes. Most fixie riders personalize their bikes with customized paint jobs and other decorations, style themselves with great care, and compete among themselves to show off their skills, making their gatherings fascinating viewing for even casual observers. The group also organizes an annual Halloween ride that attracts more than 100 costume-wearing cyclists, creating even more of a spectacle. No matter what your motivation, it’s time to saddle up and make the scene!